Unit One has been operating in Kenilworth since 1983, and has been under the current ownership since 2003. 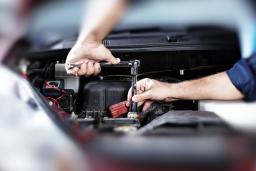 We take pride in offering a service that keeps our customers coming back to us every time they need assistance for their vehicle, such is our reputation for efficiency and great value. When you visit Unit One Vehicle Services, we guarantee you will leave satisfied at the quality of our workmanship and our highly competitive prices. Don't hesitate to call us to find out more about our services or get a free quote.